Alaska’s Interior is vast. This 175,000-square-mile inland area between the Alaska Range to the south and the Brooks Range to the north comprises about 30 percent of the state, making it as large as the states of Indiana, New York, Pennsylvania and Ohio combined. Rich in pioneer spirit the area offers many things that are quintessentially Alaskan. Homesteaders, hunters, pull-yourself-up-by-your-boot-straps kind of people who are fiercely independent and incredibly resourceful. These individuals populate the Interior and offer a portal into the Alaskan way of life. Beautiful landscapes and charming towns are found throughout the Interior and visitors are welcome to partake in a wide array of activities, dining, shopping, lodging, services and means of transportation. 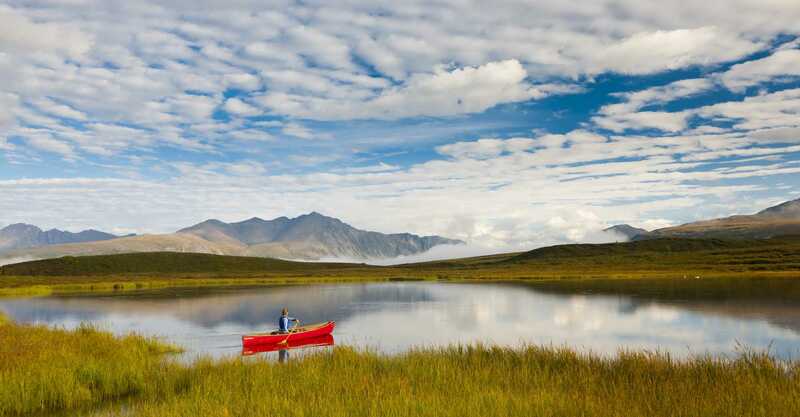 Alaska’s adventure corridor, with its rich history and spectacular scenery, stretches from Fairbanks along the Richardson Highway to Valdez and includes mighty rivers, mountains and historic roadhouses. Heading south from Fairbanks, visit with Santa Claus in North Pole, where “the spirit of Christmas lives year-round.” Explore Delta Junction, the official end of the Alaska Highway, and Paxson at the crossroads of the Richardson and Denali highways, with scenic vistas and wildlife sightings. The Copper River with its world-renowned salmon and the Gulkana, Delta and Tanana rivers offer scenic recreation with rafting, fishing and jet boat tours. Glaciers are visible from the highway or by air, kayak tour or cruise. The Copper River Valley features the towns of Glennallen, Copper Center, Gulkana and Gakona—rich with gold rush history and Alaska Native culture. 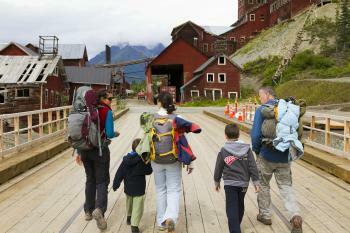 The final leg of the corridor ends in the coastal city of Valdez, established by turn-of-the-century gold prospectors. Treks on Worthington and Valdez glaciers, Prince William Sound cruises, fishing and outdoor activities are highlights of this incredible trip south.